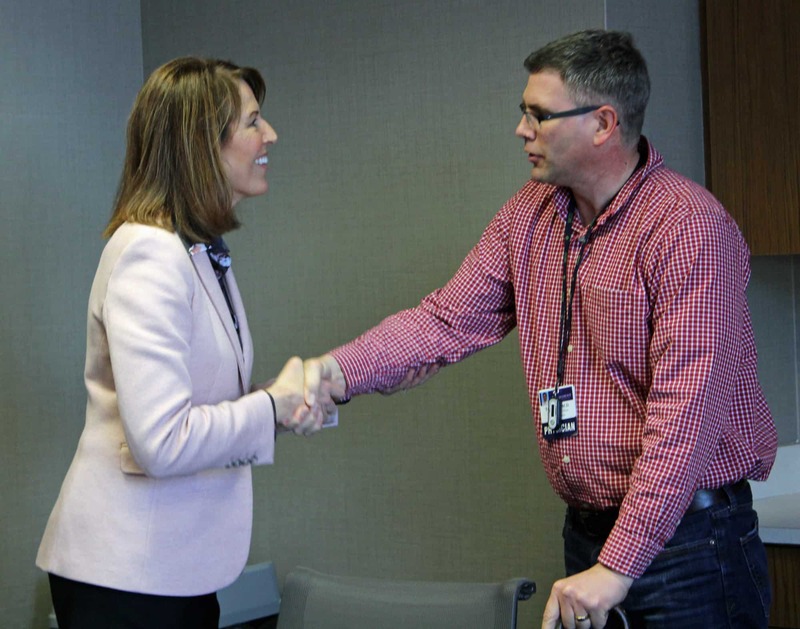 Cass County Health System (CCHS) hosted U.S. Representative Cindy Axne on Friday, February 1. Rep. Axne toured CCHS and saw a number of departments including Inpatient, Obstetrics, Behavioral Health, and Rehabilitation Services. The CCHS administrative team then met with Rep. Axne to talk about the challenges facing rural hospitals today.